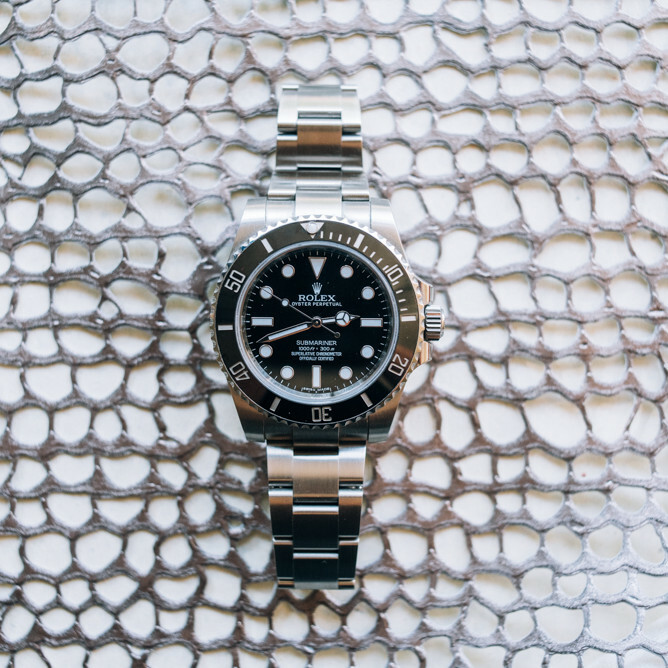 Not everyone can afford a $10,000 Rolex or a $30,000 Patek Philippe, but that doesn't mean that you can't afford a good quality watch. There are quite a few quality watches manufactured by trustworthy brands that are priced under 500 dollars. We've compiled the 8 best watches under 500 dollars, and they're all available now. There's no need to break the bank because these watches look great, are highly accurate, and are built to last. What do you think? Did we miss a watch? Let us know in the comments below! Timex began in 1845 in Waterbury, Connecticut, and this Timex Waterbury Traditional Chronograph honors the brand’s history in the watch industry. This watch features a timeless design, a sturdy stainless steel case, and a highly accurate chronograph complication. This Braun watch is a classic watch that can be worn to the office or on the weekends. With its clean-cut design and smooth leather strap, this watch can easily be dressed up or down. It’s up to you if you’d like the black dial and brown leather strap version or the white dial and black leather strap version. This Citizen Promaster Diver is an ISO-certified dive watch that’s powered by a solar-powered (Eco-Drive) movement. With Eco-Drive technology, this watch is able to recharge itself with natural and artificial light. Because this Citizen watch never needs a battery, you won’t have to open the case back and compromise the watch’s water resistance. AVI-8 may not be as well-known as some of the other brands listed here, but that doesn’t mean they don’t produce quality watches. AVI-8 produces pilot watches, and each collection is named after vintage planes from World War I, World War II, and the Cold War. With its rugged style, modern-yet-vintage design, and 24-hour time display, the design on this Hamilton Field Quartz watch was inspired by Hamilton’s military heritage. Because this watch is powered by a quartz battery, you can guarantee that the time will be accurate and you won’t have to worry about winding your watch on a daily basis. The Tissot Everytime Swissmatic is a minimalist watch that features a timeless design. The modern style of this watch ensures that you can wear it for nearly any occasion. We’ve chosen to pair our watch with a black leather strap; however, you can opt for a stainless steel bracelet or a textile strap. The Seiko Prospex Automatic is an ISO-certified dive watch, meaning that this watch is suitable for scuba diving. This dive watch features a 20 bar water resistance, a screw-down crown and case back, a uni-directional bezel, and a scratch-resistant stainless steel case. Victorinox is known for their Swiss Army knives, but they’re also known for creating reliable watches at affordable prices. This Victorinox I.N.O.X. watch is powered by a highly accurate Swiss-made quartz movement. I am surprised to not see the Bulova Accutron II watches (like the Snorkel), or the Dan Henry watches, both of which are incredible watches for the price. Thank you for your comment! It was incredibly difficult to narrow the list down to eight. I agree with you that Dan Henry watches and the Bulova Accutron II watches are fantastic options for people on a budget.